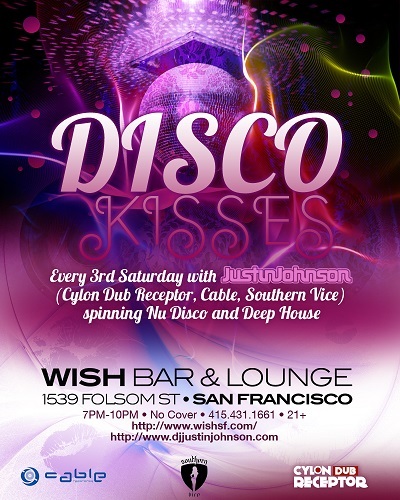 spins Nu Disco and Deep House to get you warmed up for your Saturday night adventures. Droppin' tunes from artists like Crazy P, Yogi, JP Soul, Hot Since 82, Todd Terje, Pete Herbert, Casio Social Club, Karmon, Finnebassen, Solomun, Lee Foss, The Players Union, Scott Diaz, Maceo Plex, Noze, NTFO, Robosonic, Dusky, Maya Jane Coles,and more. 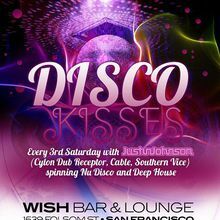 every 3rd Saturday, come down and get kissed!